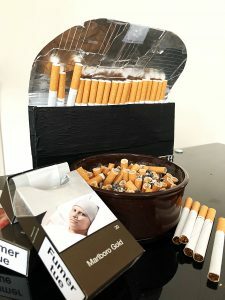 For this project the assignment was to use unconventional materials to create an object, and to be honest I am not the one to collect any sort of waste, or pick up trash on the street. 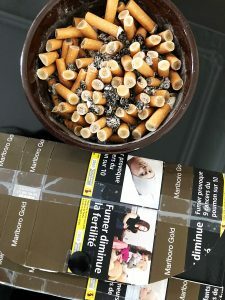 So, I thought about the one thing that I constantly throw away into the trash without thinking that the material might be useful are cigarette packs. 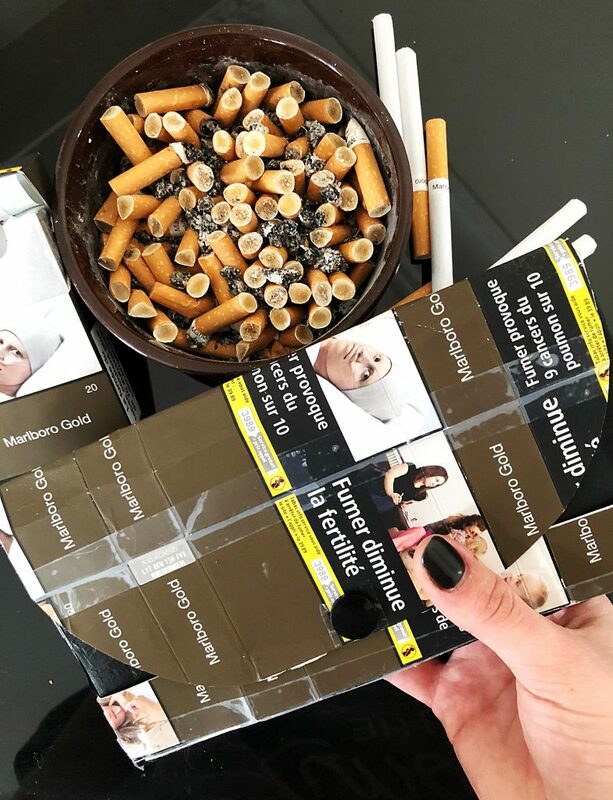 First, I simply started collecting the packs, which always made me realize how much I actually smoke, and then I thought about what I could create them into. I decided to make a sort of wallet. I definitely wanted something small and easy to carry around with. As I was making this wallet, I thought about its many possible functions. 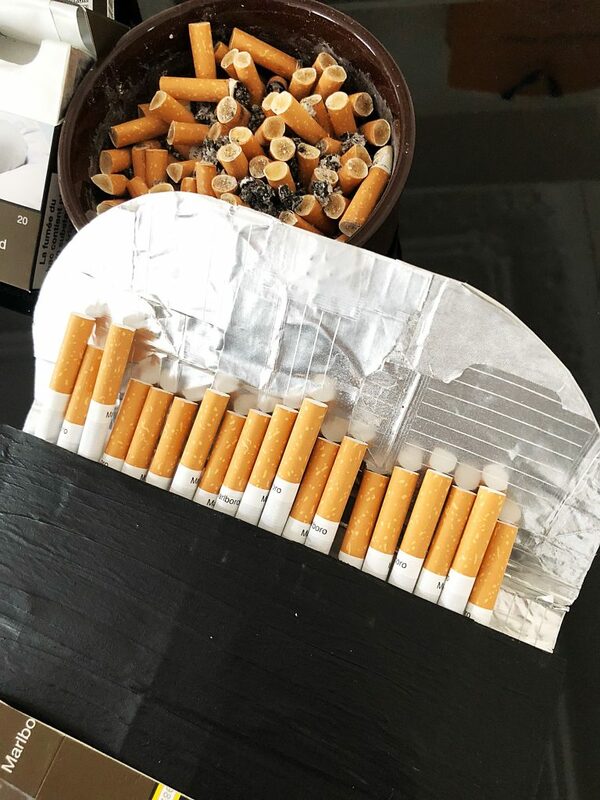 One of which could be a regular wallet, another could be a pencil case, and another could be a reusable cigarette “bag”. 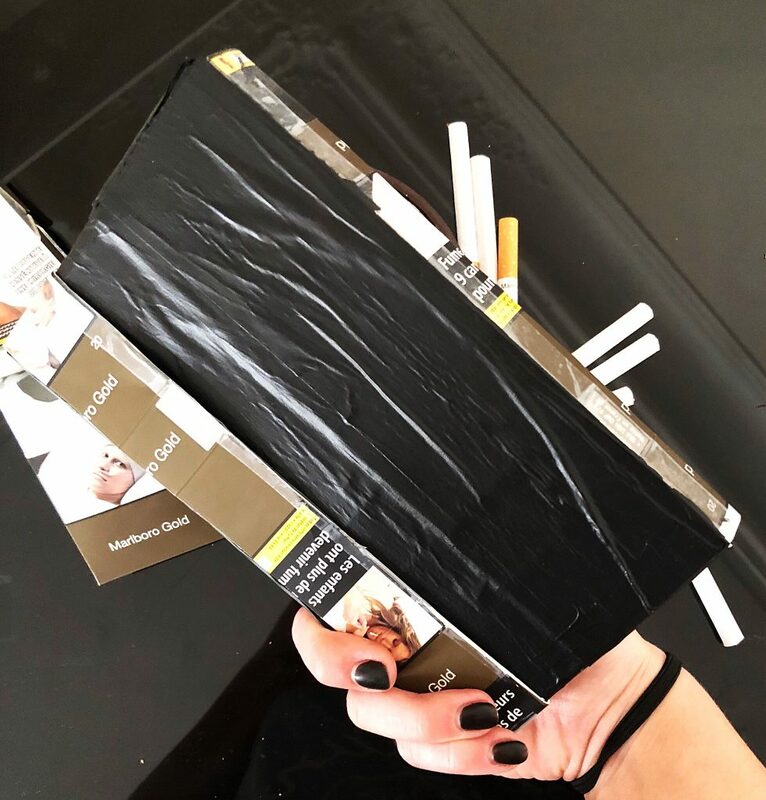 For the final result, I used cigarette packs, the aluminum foil inside those packs, and tape to make the wallet structure. I also used some black paint in order to make the work more appealing from the outside, and a plastic button that I found in my apartment in the front to recreate that wallet sort of look. I think the final result came out just as I planned it to. 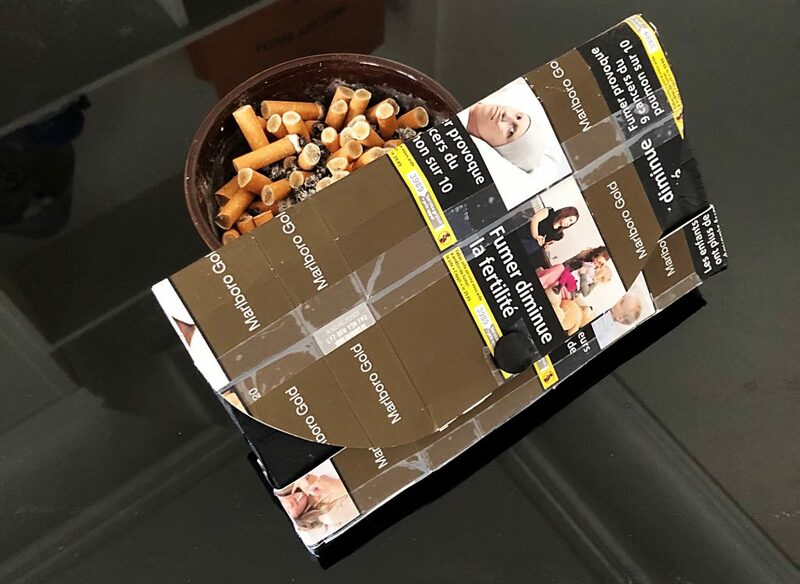 I tried to replicate the layering and the whole idea of a cigarette pack: outside- the ugly image, 2nd inside layer- the foil, 1st inside layer- white cardboard material. 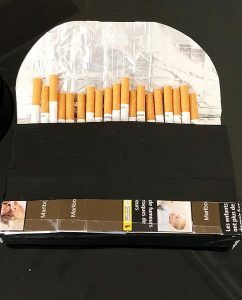 I also think that the idea of it being a reusable cigarette bag is definitely realistic. This product could definitely be mass produced; however, that would require handmade work by someone, but not as much time. So it’s possible, but I think that the technical aspects of this product should be a bit more enhanced on the inside and covered with the plastic layering (that the actual cigarette packs are covered in) to be stuck to on top of the wallet in order to protect it from the water.